The United States Army is the largest and oldest established branch of the U.S. military. “This unique experience was like Iron Chef SharePoint." 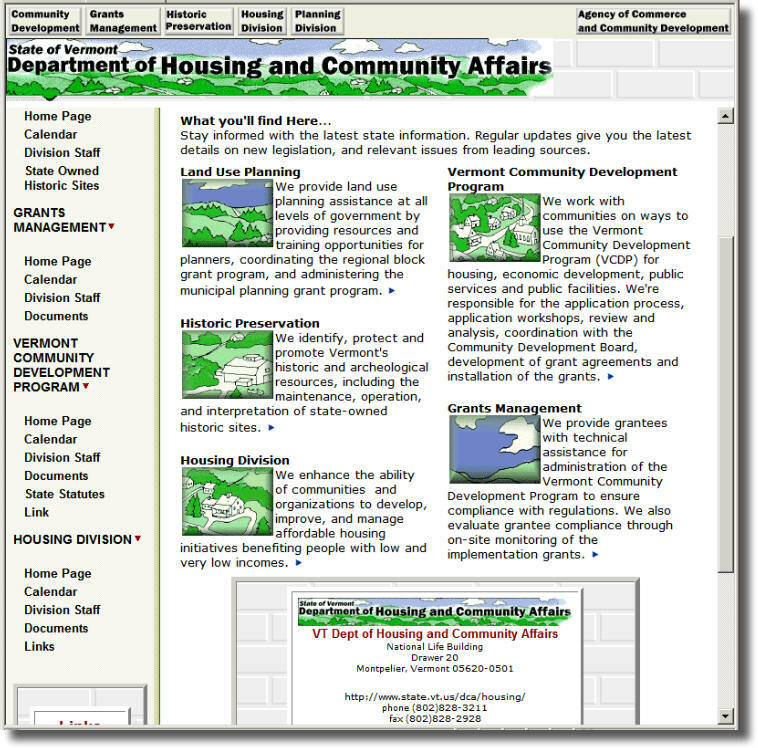 Design & development of public sites based on MOSS 2007 with Content Management System. 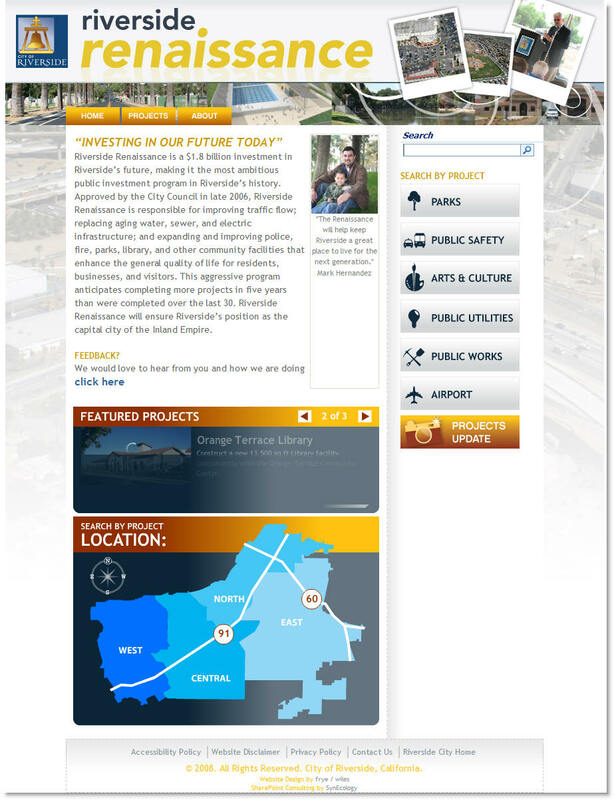 “The portal has been a success and is a solid platform to grow future workflows. 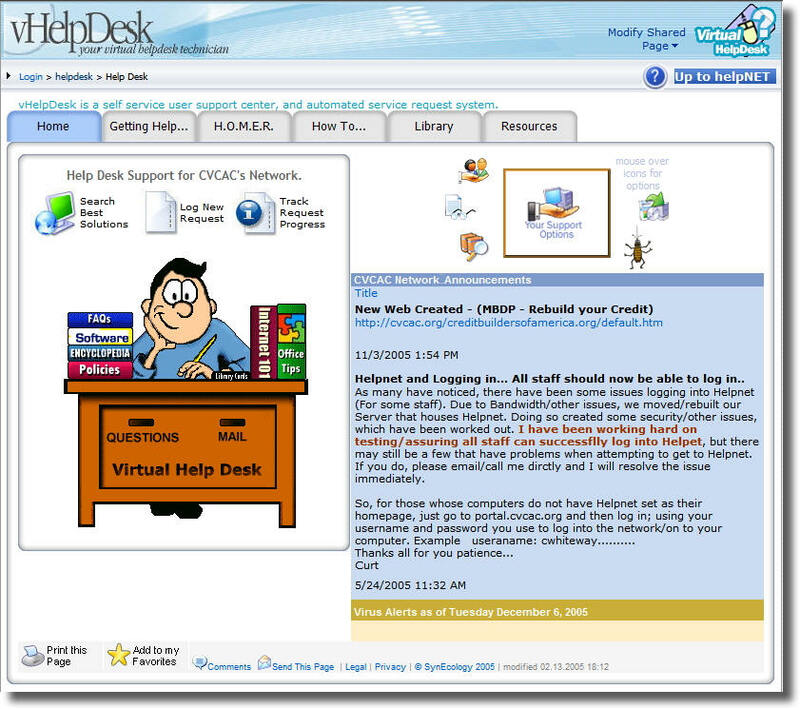 SimplePortals's team did a great job on training, design, and support." 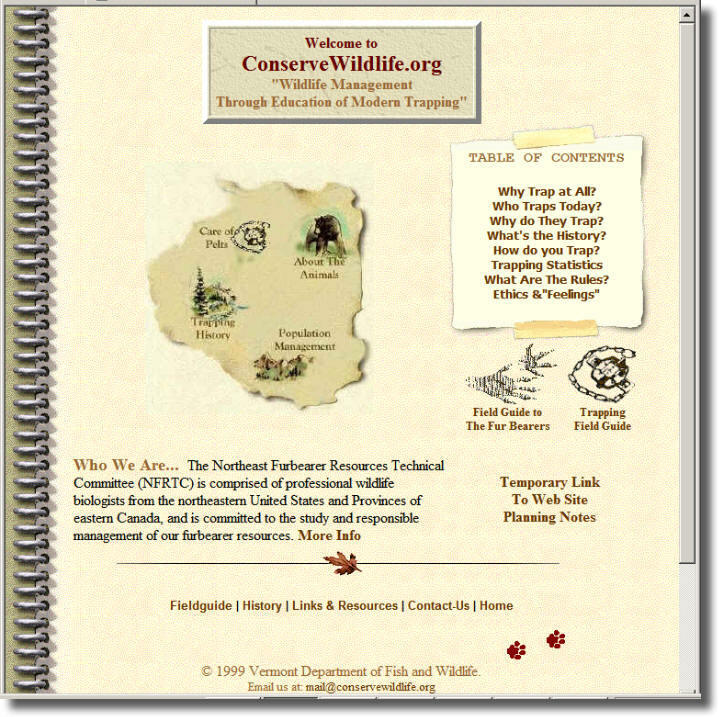 Vermont is the leading producer of maple syrup in the United States. The state capital is Montpelier. Its most populous city is Burlington, which has a metro population of 211,261 residents. 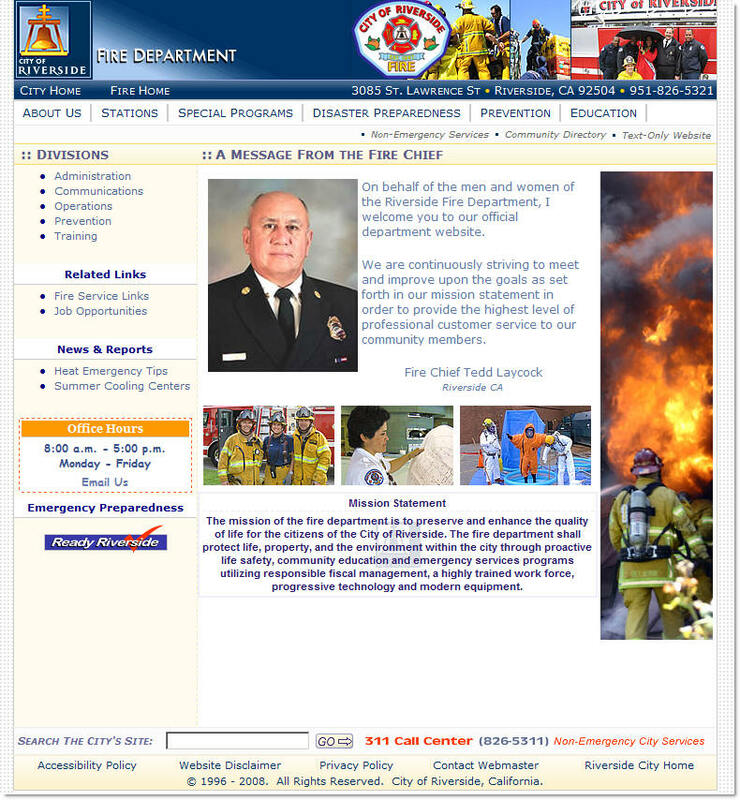 Database for forensic laboratory information management, (Criminal Justice). 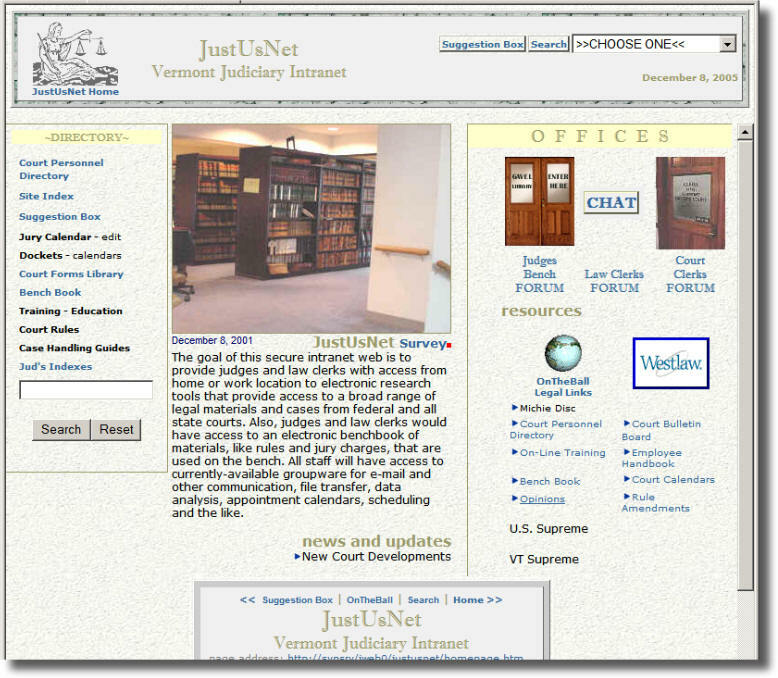 Design & Development of web based training (Judiciary). 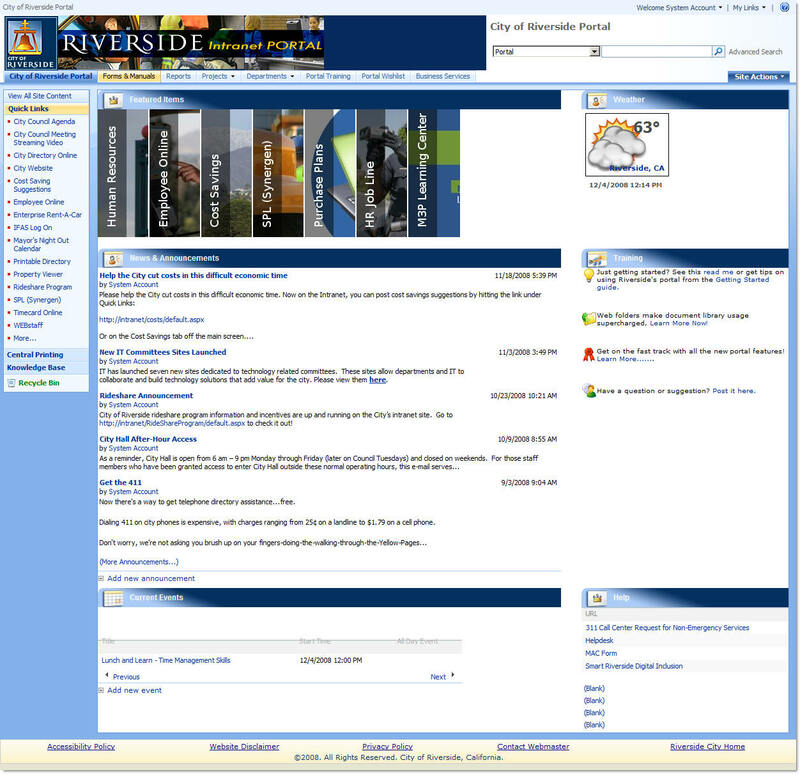 Web Design & Development of public and private portal(s) using Windows SharePoint and Microsoft Producer, (Judiciary). “Every year we challenge SimplePortals with new responsibilities, and they continue to deliver outstanding results. 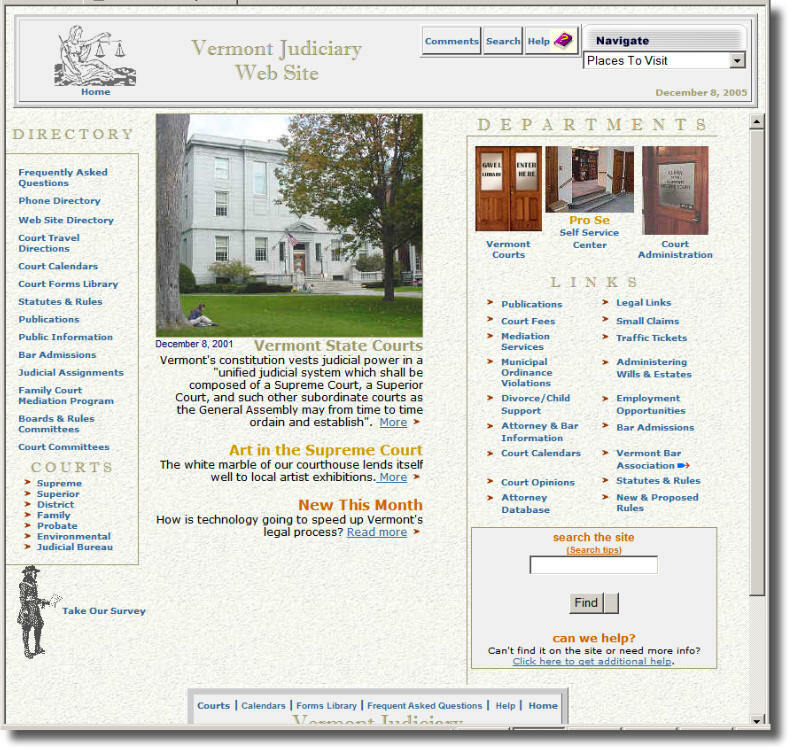 What started out as a web site redesign, now includes several portals that greatly improves communications and collaboration across all of Vermont's Judiciary." 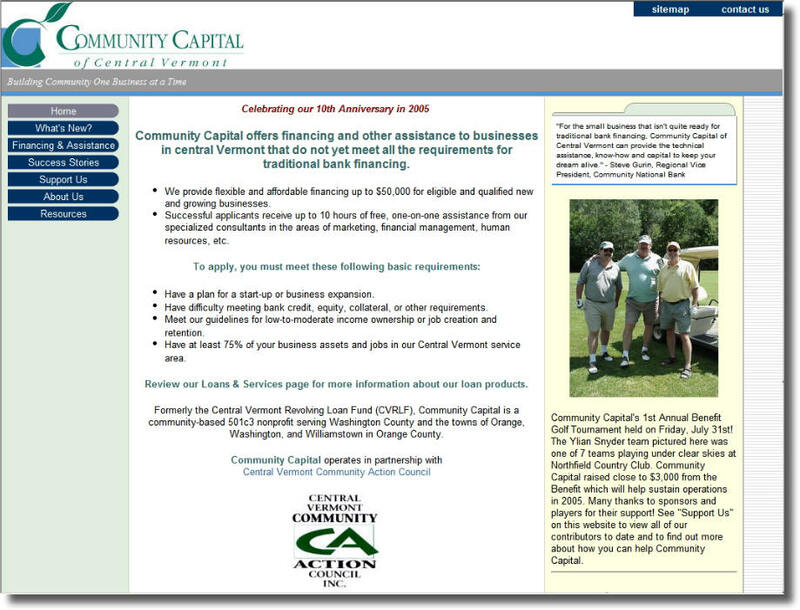 Since 1965, CVCAC's extensive network of programs has worked to help people achieve economic sufficiency with dignity and to support individual and family development. Design & deployment of network infrastructure, servers, and WAN connectivity. 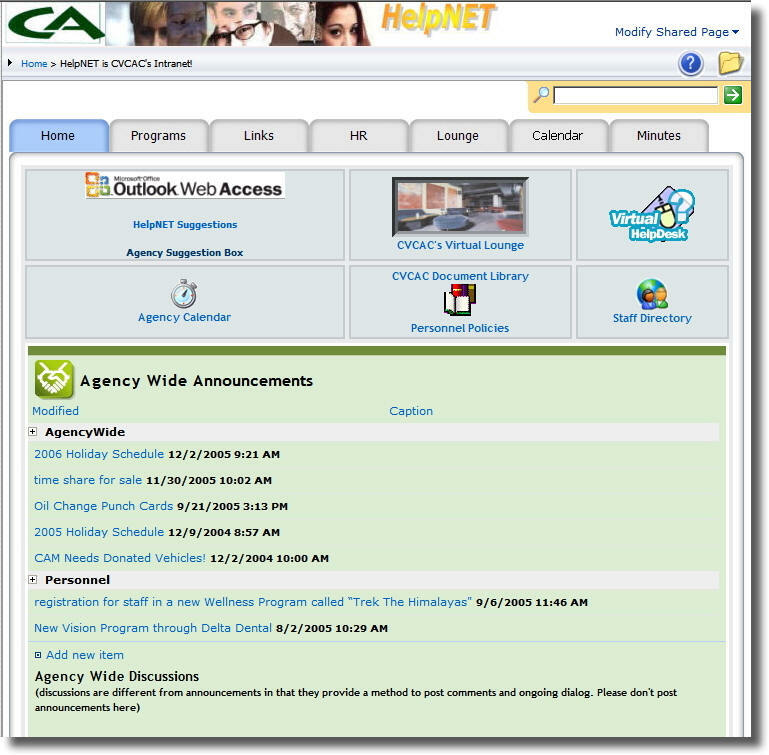 Design & development of public web(s) and internal SharePoint based portal(s).